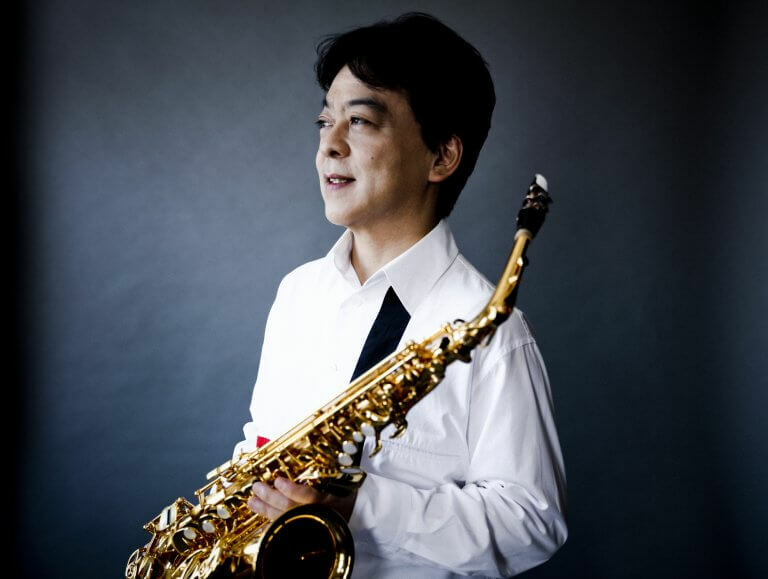 Internationally acclaimed saxophonist Nobuya Sugawa has shared his artistry with audiences around the globe and is an active champion of new works for the saxophone. Nobuya Sugawa has performed with most of the leading orchestras in Japan including the NHK Symphony Orchestra under Charles Dutoit and Alan Gilbert. Outside Japan, he has performed with the BBC Philharmonic, Philharmonia Orchestra, Württembergische Philharmonie Reutlingen, Aargau Symphony Orchestra, Slovak Philharmonic Orchestra, Eastman Wind Ensemble and Orchestre d’Harmonie de la Garde Républicaine, among others. He has played with soloists such as Fazıl Say, Ron Carter, Martin Taylor, Jean-Yves Fourmeau, Arno Bornkamp and Kenneth Tse. He has been invited to over 25 countries to give recitals and masterclasses, and has performed at many prestigious venues such as the Musikverein and Suntory Hall. Since his début, Sugawa has actively commissioned new works for the saxophone from many remarkable composers. Many of these works have become internationally popular, adding to the important classical saxophone repertoire of the 20th and 21st centuries. Examples include Fuzzy Bird Sonata and Cyber Bird Concerto by Takashi Yoshimatsu, Saxophone Concerto by Edward Gregson, Cinnamon Concerto by Martin Ellerby, Dance of Uzume by Piet Swerts, Concerto du Vent by Toshiyuki Honda, La Lune en Paradise and Paganini Lost by Jun Nagao, and BIRDS – A Concerto for Alto Saxophone and Band by Toshio Mashima, Suite for Alto Saxophone and Piano, Op 55 and Ballad for Alto Saxophone and Orchestra, Op 67 by Fazıl Say, Sonata for Alto Saxophone & Piano – Florida to Tokyo by Chick Corea, and Fantasia for Alto Saxophone and Piano by Ryuichi Sakamoto. Sugawa has recorded over 30 CDs including a solo album for CHANDOS and has published a “Play Along Series” with De Haske. Sugawa graduated from the Tokyo University of Arts and was winner of the highest prizes at the 51st Music Competition of Japan and winner of the 1st Japan Wind and Percussion Competition. He was Concertmaster of Tokyo Kosei Wind Orchestra for almost 22 years from 1989 through 2010. 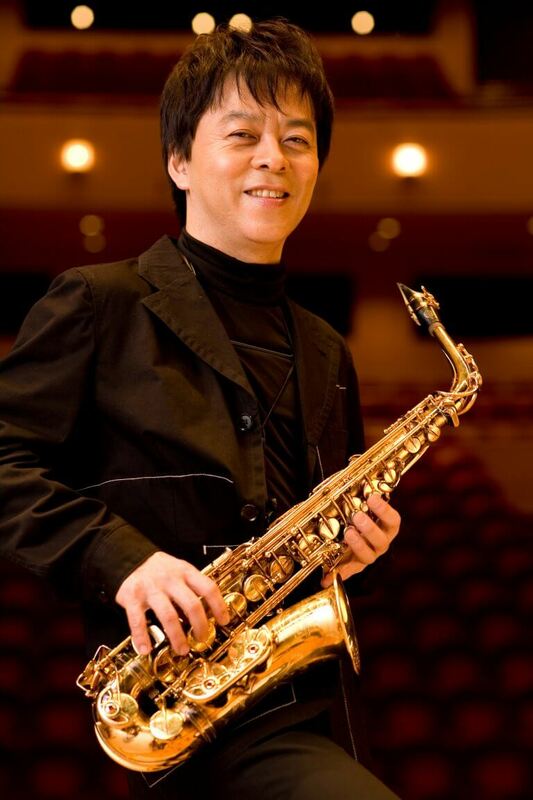 Currently he is member of the saxophone quartet Trouvère Quartet, resident conductor of Yamaha Symphonic Band, music advisor of Shizuoka City Shimizu Cultural Hall, music director of Marinart Winds, and visiting professor at Tokyo University of the Arts and Kyoto City University of Arts.